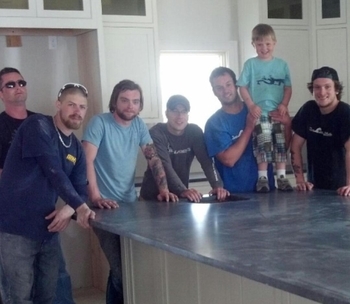 Ocean Granite & Marble is a custom fabrication shop serving New Jersey and its surroundings. We pride ourselves on our expert design and stellar installations using only the highest quality stone materials including granite, marble and quartz. We bring an artisan eye to transforming raw materials into beautifully crafted focal points for your home or office. We strive to bring you premium stonework services at affordable prices. By combining quality customer service and the latest fabrication technology with a wide selection of stone choices, Ocean Granite & Marble is a driving force in New Jersey for your granite, marble or quartz fabrication and installation needs. Copyright © - Ocean Granite and Marble. All rights reserved.